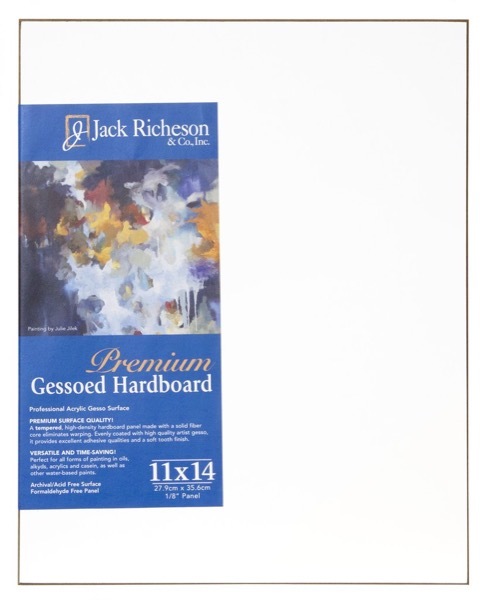 Gessoed Tempered Hardboard Panels Jack Richeson & Co.
With beautifully beveled edges, these warp-resistant tempered panels are covered with a high-quality white or toned gesso and are produced with a double coat waterfall system for a perfect lightly toothy surface. Perfect for portraitists, they are a time and energy-saver, ideal for both pros and students. Perfect for use with oils, alkyds, acrylics, caseins, and other water-based paints. Cradled panels can be hung on a wall with no additional framing.